jonkykong/SideMenu: Simple side menu control for iOS in Swift inspired by Facebook. Right and Left sides. No coding required. iOS 8+. 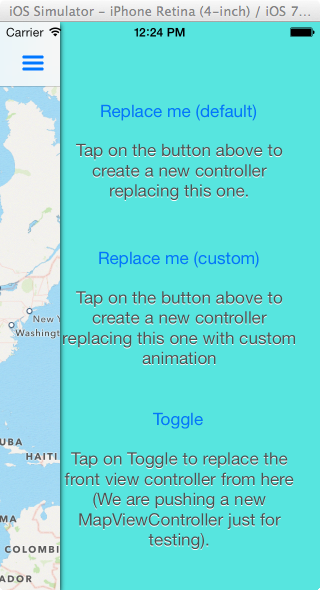 dekatotoro/SlideMenuControllerSwift: iOS Slide Menu View based on Google+, iQON, Feedly, Ameba iOS app. It is written in pure swift. John-Lluch/SWRevealViewController: A UIViewController subclass for presenting side view controllers inspired on the FaceBook and Wunderlist apps, done right ! 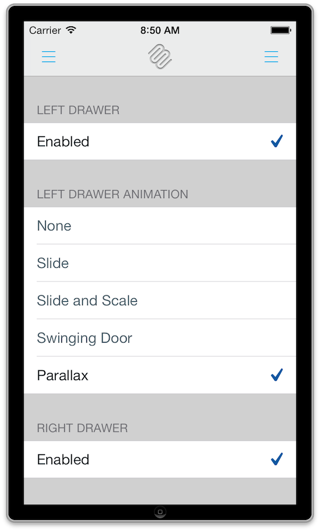 pkluz/PKRevealController: PKRevealController is a delightful view controller container for iOS, enabling you to present multiple controllers on top of one another. 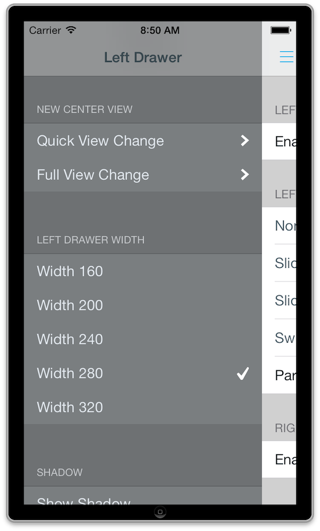 molon/MLTransition: iOS7+, pop ViewController with pan gesture from middle or edge of screen. 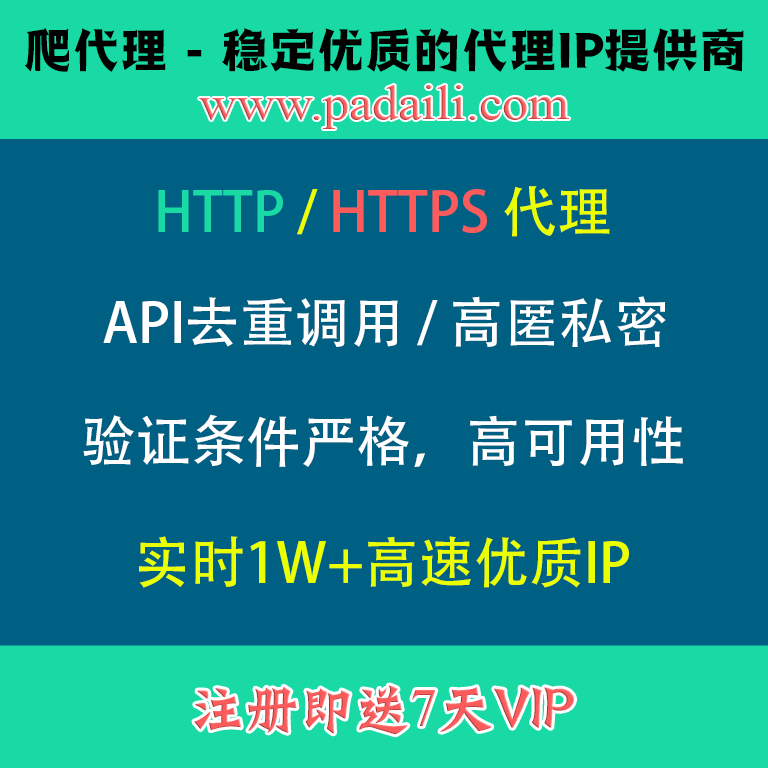 guojiubo/PlainReader: Plain Reader source code. KittenYang/Animations: some test animations, just for fun. 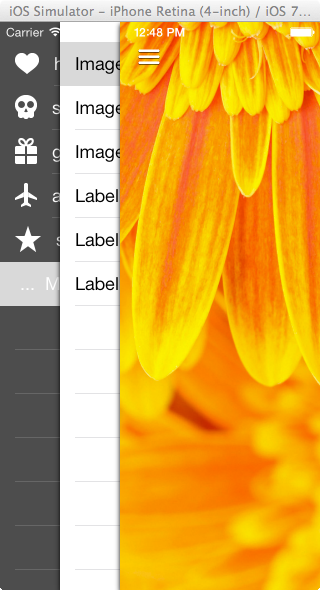 romaonthego/RESideMenu: iOS 7/8 style side menu with parallax effect.